Have you done any iOS benchmarks against Zynaptiq's solution? I looked at the sample code for SuperPoweredTimeStretching in the "SuperPoweredOfflineProcessingExample" project. Can this class be leveraged for real-time audio processing as well? Or is its utility limited to the offline processing alone? Can do multiple pitch shifting for playing a sample back as a chord? How to convert the sound of boys into girls voices? Is it possible to add pitch changing effects to the audio in real-time for our video chat application? How to apply an effect on 1 of the tracks when playing 2 tracks at the same time? How can I add an effect to a track and save changes with applied effect to the original file? How to apply an effect on one track when playing two tracks at the same time? How to use your SDK to add effect to recorded audio file? I still have no idea how to intergrate. For example, the Superpowered3BandEQ. Could you provide me maybe an example how to do that? I need to implement a surround sound effect like a stereo-widening effect similar to the Virtualizer() API in the android.os.media Do you have any suggestions or direction on which superpowered API gives a similar outcome? I’m developing an app in which the input is recorded audio by the user and it has to be modified by sound effects like “helium” or “metallic” or something similar voices. Is it possible to do with your SDK? Can you give some advice or may be help us to build ideal equalizer plugin for the player ? I want to boost the bass while capturing with my smartphone. How to achieve this ? Is it possible to use the low pass filter or band pass filter for filtering audio of low frequencies? Is there such a 'ramp' already integrated into the Superpowered low-pass filter? Is possible to apply an audio effect without playing the original track? Do you have a DC offset removal function? Do you have a direct convolution feature? Do you have reverb and delay in Superpowered? 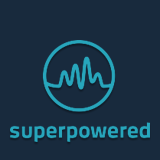 Does Superpowered offer Auto-Tune effects? Is there a possibility in Superpowered to apply different effects like filter, flanger, eq, etc. on a single SuperpoweredAdvancedAudioPlayer instance? Do you have what frequencies the Hi, Low, and Mid effect on your 3 band EQ? How do I gain independent controls about manipulating the values of the 3 bands (high, mid &amp; low) of this API (Superpowered3BandEQ)? I didn't find the complete parametric EQ. Just a 3 band one. And is it high/low shelf types? On the CrossExample how do I set the EQ just for playerA or playerB? How can we add an equaliser? Is there a way to use the echo and set it by milliseconds instead of by BPM? Do you have any examples of how to use the compressor? I'm using swift, so I've been checking out the SuperpoweredFrequencies example but I'm not totally wrapping my head around the implementation. We have audio mp3 files form various people with various volume levels, and the Limiter seems to bring everything to ceiling/thresholdDb to 0 through a default use. Is this correct?